One popular candidate has dropped out of the Denver mayoral race scheduled for 2019, and another popular figure has thrown in his hat for the challenge. “It is with tremendous sadness that I am ending my campaign for Mayor of Denver, effective today. For the past 18 months I have poured everything of myself into this campaign, as have countless supporters, all of us in the pursuit of a fair and equitable Denver. However, for personal reasons I must remove myself from this process to focus on my family and my personal health and wellness. I can not thank enough all the people who have been participants in building this movement, including those who have helped educate and inform me on Denver’s vast and vibrant communities and the many pressing issues we are facing. Caring 4 Denver would raise $45 million per year through a sales tax increase to fund mental health, harm reduction and addiction services for children and adults. Democracy for the People would reform and modernize campaign finance laws by lowering contribution limits, prohibiting corporate contributions, increasing transparency and instituting a small dollar public fund matching program to ensure all Denverites has a voice in local elections. 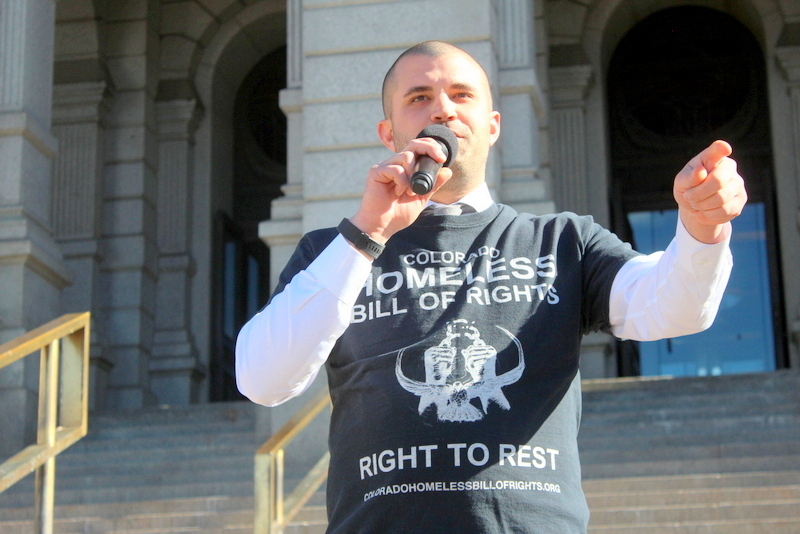 Right to Survive would effectively decriminalize homelessness in Denver and ensure all those living on our streets are treated with dignity until they get back on their feet. Khalatbari thanked supporters and urged each to turn efforts to the three campaigns. 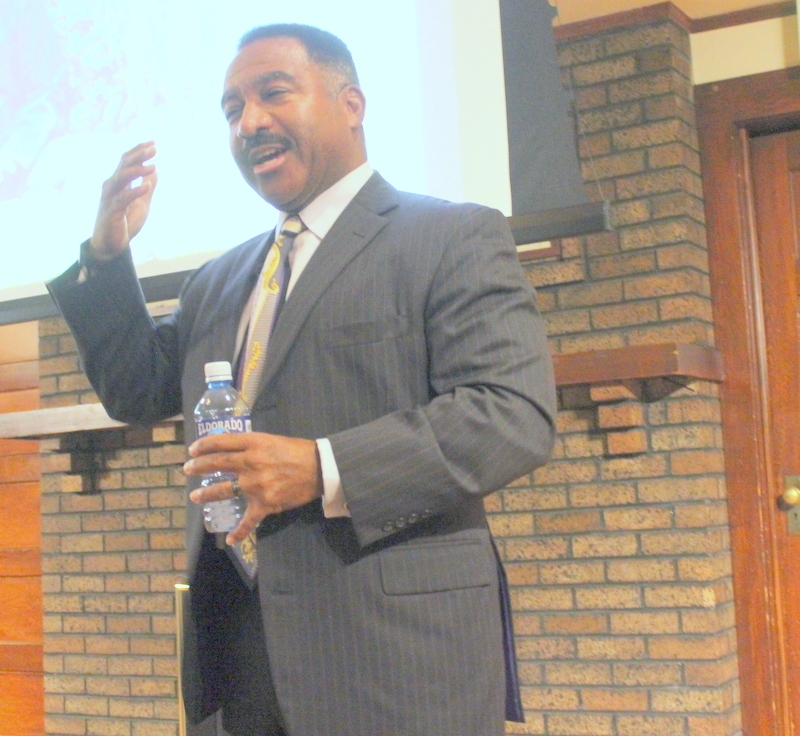 Penfield Tate III presents a history of his family and of the mayoral position of his father in Boulder in February of 2017. Penfield Tate II was Mayor of Boulder and Penfield Tate III wishes to be Mayor of Denver. On Tuesday Penfield Tate III announced his campaign during a Colorado Rockies game on ESPN. He is centering his campaign around “respect” saying, “Everything I do is about respect.” Tate said that such a trait should be bestowed on all and that his idea of “inclusive democracy” favors all over developers and special interests, something he says was lacking in past administrations.